An extremely comfortable mattress for couples that combines two outstanding materials – viscoelastic Orange memory foam and comfortable Eliocell foam. 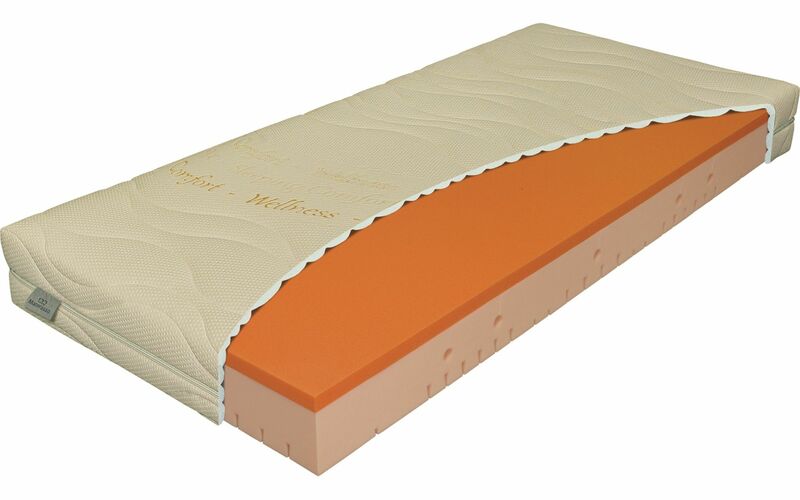 The upper side consists of Orange memory foam, which maximises its firmness when in contact with the human body by absorbing heat and guarantees that the mattress can adapt to any load. It provides the body with perfect, even support. The lower seven-zoned layer of Eliocell foam comes with anti-sore cross-section, which enhances its ability to copy the body.